Among the first Boricuas to receive recognition in early jazz was Rafael Escudero. He was born in 1891 and well known in American jazz circles. Today Escudero is mostly forgotten. But this native of Manatí, Puerto Rico was an outstanding tubist and bassist and a link between the growing number of jazz bands and other orchestras in Washington, DC, New York and Puerto Rico. Escudero was unique in that his departure for the United States predates World War I and the Jones Act (1917). At 21, he boarded the steamer Caracas in the port of San Juan and arrived in New York on June 13, 1912. An accomplished tuba player and (later) bassist, Escudero came to New York on a scholarship from the New Amsterdam Musical Association (NAMA). Over the years he performed with the NAMA band, featuring the great Ethel Waters, also the Marie Lucas band at the Howard Theater in Washington, DC and the Wilber C. Sweatman band, for which he played the tuba and the string double-bass. 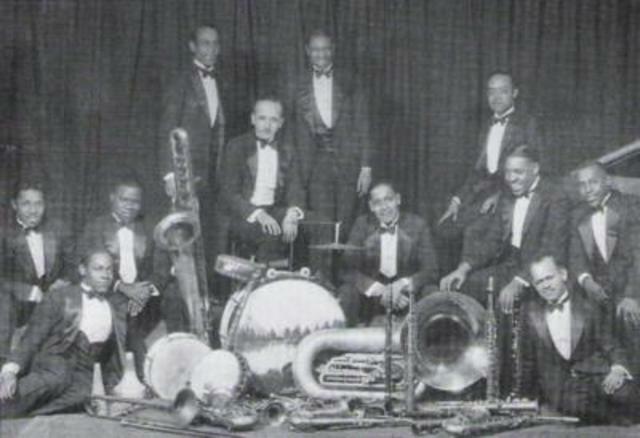 Escudero was also a member of the Fletcher Henderson Orchestra, which is considered one of the most famous African-American bands during the Harlem Renaissance. He was recruited when Henderson heard him perform with the Sweatman band at the Howard Theater. Eventually, Escudero left the Henderson band to join the Detroit-based McKinney’s Cotton Pickers, led by Don Redman and who, on and off, included such jazz greats as Benny Carter and Rex Stewart among others. Also, the band had all-star sessions with players such as Jabbo Smith, Sidney de Paris, Coleman Hawkins, and Fats Waller among others. Escudero also recorded with the Cotton Pickers under the name, The Chocolate Dandies featuring Lucille Hegamin, Bessie Smith, and Ethel Waters. He was also a member of Louis Armstrong’s (early) band and toured with W.C. Handy. Despite a stellar reputation as a tubist, Escudero switched to the string bass, a necessary innovation that permitted the sound (of the bass) to be more audible when performing in large ballrooms and recording studios. 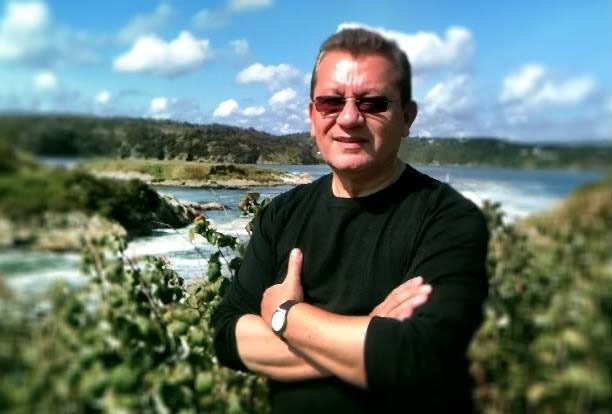 According to the late orchestra leader and trumpeter, Miguelito Miranda, who appeared at a Record Collector’s conference in 2000-’01, Escudero was an active musician in Puerto Rico. Also, he was somewhat of a “running joke” amongst musicians on the island. A “crazy old man” who recounted his exploits as a young man to anyone who would listen. But a segment of Puerto Rico’s musical community did not believe that Escudero performed with the likes of Fletcher Henderson and Duke Ellington others. Today, the Boricua Pioneer and gifted tubist/bassist can be heard on over 50 recordings, including Louis Armstrong in New York (1924), Mc Kinney’s Cotton Picker’s Volume 1 (1928), Bessie Smith’s Yellow Dog Blues (as Bob Escudero) and the Fletcher Henderson Orchestra featuring Coleman Hawkins (1923-1927) and Louis Armstrong among others. Photo – Jazz Age Timeline – The Fletcher Henderson Orchestra (Rafael Esudero, pictured far right).